jjjdavidson wrote: Should it worry me that I have a file called OneTruePost.txt that I use for composing my next posting on here? (Yes, I hand-type the bbcode in it.) Should it worry me more that I also have a OneTruePost2.txt? I'd be more worried about whether it worries the Inquisition, if I were you. A second One True X sounds rather heretical. Unless you're one of those Paradox types, of course, in which case it is de rigueur, I'm sure. There are BBcode Plugins for vim (sorry no links, just google it, there are just too many) and Sublime Text 2. BlitzGirl wrote: I was thinking about Time fanfiction, since that was brought up earlier, and specifically Cuegan shippers (inevitable). And how, ten newpix after the hottest, steamiest erotica fanfic of Megan and Cueball is posted on the thread, OTC Megan will say: "You're such a great brother!" or something to that effect. Maybe I have to little imagination, but how can stick figure art be hot and steamy? Ah. Imagination is sparked, but we can do better, can't we? Let's see if I can find a free Newpix the next couple of deca Newpix. pablithemantis wrote: The moment you bring up an incorrect latin translation of an error message into an XKCD thread, my fate is sealed. error occuravit. volasne dicere microsofti huius? Of course it's an incorrect translation - it's coming from Redmond! In any case, welcome to the One True Thread. BlitzGirl wrote: What does Megan keep staring at? d) None of the above, assuming that we must Wait for it. I suppose speculation is harmless, but in excess it disturbs the wa of truly Waiting For It. PhoenixRising wrote: I finished my quest several (17) Newpix ago. I believe you already crowned me as BlitzGirl the Next though, or was there a more formal ceremony I missed? I acknowledged you informally, but realized that such an awesome accomplishment merits a grander pronouncement. I also wanted to give any silent Blitzers a chance to come forward. We might even be able to get BlitzGirl the First herself to attend; she might have a few Words to say at the ceremony. Last edited by Flotter on Fri May 03, 2013 1:02 pm UTC, edited 1 time in total. One must note, that though the wa is disturbed, the it-ing is still quite intact. b) The Sea, which is BIG. It's nice to have an answer for that. I was offline for two days and had to catch up > 50 forum pages. where are they, and when? ... and it would be MY choice which to read first, and when. StratPlayer wrote: Now caught up from my microBlitz between leaving work and now. And... I heard a song on the radio on the way home and was like, "oh yeah, this is SO THIS THREAD!!!" IIRC the real Google Bot is in brackets, like so: "[Google Bot]". This one is most likely a joke account. I'm sure I'm not the only other one to race back to the Present. There are probably a couple of guests lurkers ninjas who are just too intent on staying hidden to come forth and claim their accomplishments. C'mon out, ninjas, we have cake. And cookies. And bacon1. And you say BlitzGirl the First might think of attending this ceremony? Such a thing is an unparalleled honor of which I am totally unworthy. Ah-HA! We have another BlitzGirl the Next! Well done, higgs-boson! Now the image I can live with. That particular variant I can enjoy, even. But the parentheses was uncalled for! It also occurred to me, although I know it's been kinda-sorta brought up already, that the OTC is channeling Hunger Games just a bit. Book Two, I think, with the water-heavy environment? I don't know why M&C would build a sandcastle under such circumstances, but it's entirely possible (given Panem's level of technological advancement) that the material wasn't sand at all, but a sort of much stronger sand. The castle would be a lookout post. Must've been one heck of a silver parachute to provide all those building materials, though. That part I still don't get. But not knowing how anything works... having physics not work quite as expected (anyone remember the forcefield at the edge of the Games environment that decided a match?)... being short on supplies... all consistent with the Games. Last edited by PhoenixRising on Fri May 03, 2013 1:16 pm UTC, edited 1 time in total. I don't think that she could have walked back to the castle and returned to the river that fast. Or has she used the steam bottle to fly? So that leaves us with the question: What is still rising? Or maybe she saw that the sea is rising somewhere else (not at the castle)? Are you out of your mind? What have you been smoking? The real Google Bot is "Google [Bot]". To garble the nicks of OTC visitors like that is heresy and blasphemy. Vytron wrote: Wait, what? 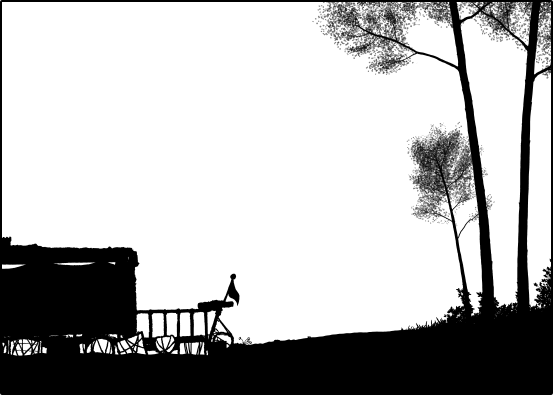 SBN, did you just5 post a picture of the present frame in http://imgs.xkcd.com/comics/time.png instead of the hash-past frame?? Am I looking at the Present!? And your post is now a permanent window into the present?! I've been spoiled! Ack! Yes, I did. But now I've edited it, so no future travelers will be spoiled. I thought I'd gotten all the times I'd made the mistake, but apparently not. Thank you. Is there a way to effectively search the whole needle-pulled thing for images that use the wrong url and thus are revealing the future for time travelers? I tried both forum search and Google search but with no luck. Forum search is giving me false-positive results and Google seems to be unable to search for image addresses that are not in plain text. PacMan wrote: Or maybe she saw that the sea is rising somewhere else (not at the castle)? Looks like she just ducked back/sideways/up a hill to check, then returned. Must be time for somebody to draw a map? 123Adz321 wrote: Sing me a sONG! Ain't that sweet! He's going to poo and is preparing a hole for it. My guess is that pooing was censored... Could of course also be the burial of half eaten otternoses from their meal. No, no. He already poo'd in newpic #1047, remember?! See below. Okay, I lose nerd points: I had to wikipedia both vim and Sublime Text. For simple stuff like forum posts I still rely on Notepad; for more complex editing I've finally advanced to Notepad++. Whee! AluisioASG wrote: I see some folks here speak arrogantly when mentioning the Outer Threads. 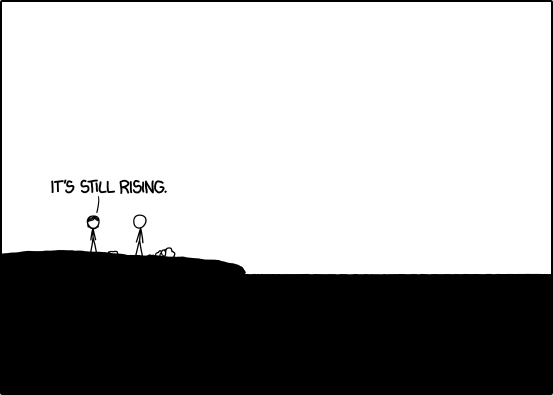 I must warn you that the forum thread for xkcd #2300, the first 11-dimensional comic, got 3.14k replies in the first two days. I'm easy come, easy go. Little high little low. Even if the wind blows, doesn't really matter to me...to me. Megan. Just just slipped again. Dropped my bottle, oh dear me. Now it's floating out to sea. And Megan. Our walk had just begun. And now it floating all away. Didn't mean to make you cry. Carry on, carry on, as if nothing really matters. Ocean's rising all the time. Goodbye to our castle - We've got to go. Gotta leave it all behind and find the truth. Trebuchet, trebuchet will it wreck the sand castle? Easy come easy go - will you let me go? Oh Cueball, pack your bag and we will go. Time to go! It's time for us to go. Time to go! Now it's time to go. Time to go! Oh Megan whee-oh, Megan whee-oh, Megan whee-oh...we can go! So you think we can roam free and wander outside? So you think we can leave here and then become wise? NoMouse wrote: Is there a way to effectively search the whole needle-pulled thing for images that use the wrong url and thus are revealing the future for time travelers? I tried both forum search and Google search but with no luck. Forum search is giving me false-positive results and Google seems to be unable to search for image addresses that are not in plain text. From my limited programming-like experiences I would hazard a guess that it's quite possible. Automated searches in the OTT have been done (by Kieryn) If a script were made that searched for "time.png" and outputted a list of posts (with username) with "time.png" in it someone could PM the users that posted it (except for PostNo 1, by rhomboidal). The users then could mend the error of their ways and the Blitzers would be safe from spoilers. Alas, my scripting prowess do not allow me to script such a thing. I would be willing to help with the PMing if there are to many to handle. Naah, the last thing we need is a Star Wars reference . Also: I'm thrilled to see one of my posts got a direct response from you. I'm honored to be noticed by such select company! At ten pages, this might have worked. Now ... I don't think so. I think the confusion of topics feeds the thread (the Madness did, too.) Is there way for some 'bot to cruise the OTT and provide a list of links to posts about those topics, that could be accessed via the wiki? Omigosh omigosh omigosh Thank you thank you thank you! I feel less naked now. Babies. Cancer babies. How else do you think they got to be part of the Sea1? A particularly tough couple of work days Thursday and Friday, and then a weekend long coma, and now I'm 50 newpages behind? (395 out of 445, and there's something wrong with River(s).) This is terrible! I've probably missed the BlitzGirlian Singularity! I'm going to get Marooned in PixTime*!! I'm faced with a serious problem - do I time travel forward, skipping all the delicious needl-pulled thingy awesomeness, or slog through as I had planned, probably falling further and further behind until the End of Time? Come here, quickly. We have no Time for that anymore. They think my brain's beginning to boil. Searchin' for my last rational thought. But I know, it's nobody's fault. of newpic, longpix, and the fading, too. after clearing buffy's long hat queue. And I think, hell, it could be my fault. will I still know the people back home? my own relations 'cause my mind will be blown. I am hoping that we get an eventual ~180o camera pan (or functional equivalent depending on the profile of the shore) so that we can see the castle in the distance. Also perhaps something is happening to the sea which is causing a reversal of flow in this particular river (which is small) and is why it is moving so slowly and acting so weird and neat. General Tidal river effects. Or perhaps the world they are inhabiting does not have a fully solid crust and is being affected by the weight of the water much like a huge rubber sheet. I've been wondering how long I'd keep from registering in the forum, and of course it'd be this comment that does it. The moment you bring up an incorrect latin translation of an error message into an XKCD thread, my fate is sealed. pablithemantis, perhaps you can confirm that it really does say what I always thought it said. They're looking right at us! Clearly Megan has just broken the fourth wall* and is now directly addressing the audience. We're being dared to solve this puzzle... what is "IT" and why is IT rising? Last edited by chem1190c on Fri May 03, 2013 1:59 pm UTC, edited 2 times in total. Someone should make a map of the land in Time. The Castle is at one end, bounded by the inexorably rising sea. To the left is a plain, and some time later there is the river. Across the river is an Unknown Land. Somewhere in the foreground or background near the Castle is a Home Depot, because Megan had to get all those supplies from somewhere. Neil_Boekend wrote: From my limited programming-like experiences I would hazard a guess that it's quite possible. It would also be possible to call some moderator that would edit those posts. But first we need to find them. So, script-writers, where are you all when we need you? 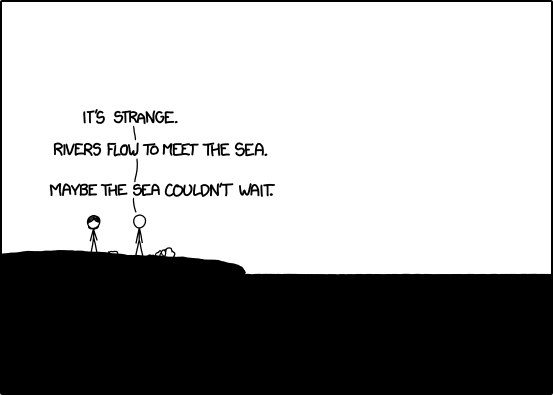 I think it is obvious by now that the "It" we are all waiting for is the sea. She is looking right at the sea (and us), and says "It's still rising". This is about as blunt as it gets to inform us that "It" is the sea. Seriously, that is really impressive. I could hear Freddie Mercury singing it in my head, with instruments and everything. Last edited by jetpac on Fri May 03, 2013 3:00 pm UTC, edited 1 time in total. And now, another song, my favorite indeed. Y'all can see how wonderfully creative I am. Which came as some surprise; he had noticed! "I thought you had drawn those, a long long time ago"
Or maybe the river is running backwards? Thankyou Thankyou Thankyou oh Mighty Great Cardinal Hattrix! May your Sea1 be filled with only the most rarified semenbaconcoffeecancerbaby blend! And may all heretics lose their hats to the pixels of Time and grovel in submission to your Supreme Buffydashery! Last edited by VoronX on Fri May 03, 2013 2:20 pm UTC, edited 1 time in total. Are we finally getting enough pieces of information to figure out what is happening? Obviously Cueball and Megan are clueless (despite Megan's scientific mindset) about the world at large and how it works. But we as readers were told to "Wait for it". What if "Wait for it" is also the theme of the story (a stretch, I know). What if this is a story about a living, sentient sea that could no longer wait for rivers to either A)re-join with the main body of water, or B) erode the soil. Maybe the sea is hungry for dirt and other sediment1. Maybe the rivers are not bringing it in fast enough and so the sea is stretching itself out to gobble up more land. (I, for one, welcome our new insatiable overlord). Selcouth wrote: Someone should make a map of the land in Time. The Castle is at one end, bounded by the inexorably rising sea. To the left is a plain, and some time later there is the river. Across the river is an Unknown Land. Somewhere in the foreground or background near the Castle is a Home Depot, because Megan had to get all those supplies from somewhere. It has already been done. I wasn't able to find the original post or poster, but this is what it looks like (based on the path that Cueball and Megan have walked). The sea rises to meet the river so much faster - Aww! That's romantic! Whizbang wrote: Are we finally getting enough pieces of information to figure out what is happening? I, for one, suggest we bring the trebuchets.